Gili Lankanfushi: The rescued turtles have healed! Track Chippy’s journey. The rescued turtles have healed! Track Chippy’s journey. 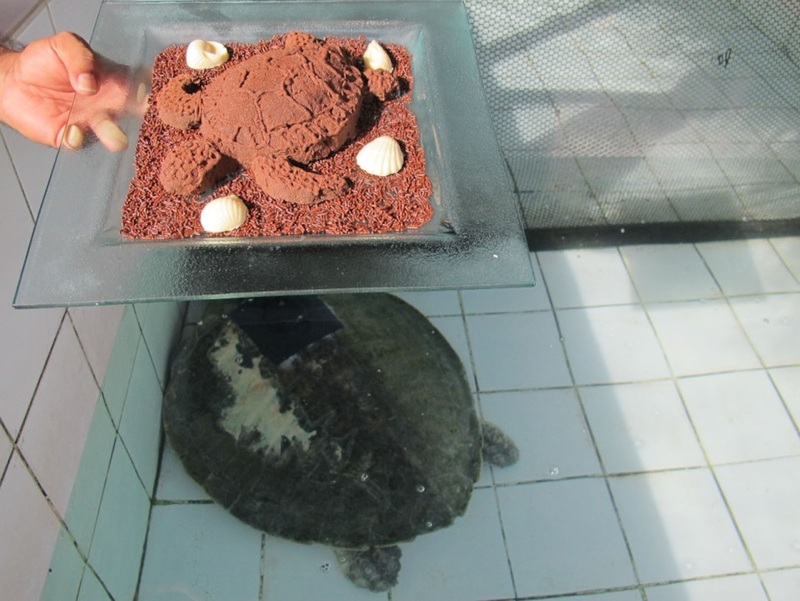 This month we have some great news about the two Olive Ridley turtles that we have rescued in July. If you have been following the story of these two turtles, you will remember that Olive Ridley turtles have a oceanic lifestyle, and are thought to associate with flotsam and that makes it very vulnerable in today’s polluted oceans (modern day flotsam is often plastics or pieces of nets). Olive Ridleys ingest plastics, mistaking it for food, as well tangling themselves in ghost nets (pieces of broken fishing net left behind by fishing fleets). In July we had two injured turtles that washed up at different times of the month. The other turtle Chippy (for the full story click here), was much bigger, and had much bigger problems. Our hosts found it tangled in a big piece of ghost net. Both of it’s front limbs were injured, with the front left flipper lacerated to the bone by the abrasion with the fishing net. This turtle was sent to Kuda Huraa, from where it was further transported to Four Seasons Resort at Landa Giraavaru (in Baa Atoll), where sadly, the left flipper had to be amputated, due to the severity of the trauma. Three months later, thanks to the great amount of care by Marine Biologists at Four Seasons Landaa Giraavaru the turtle has healed. A satellite tracking device was attached to Chippy and on the 7th of November and after a goodbye ceremony with a special cake (see the picture) she was released ! 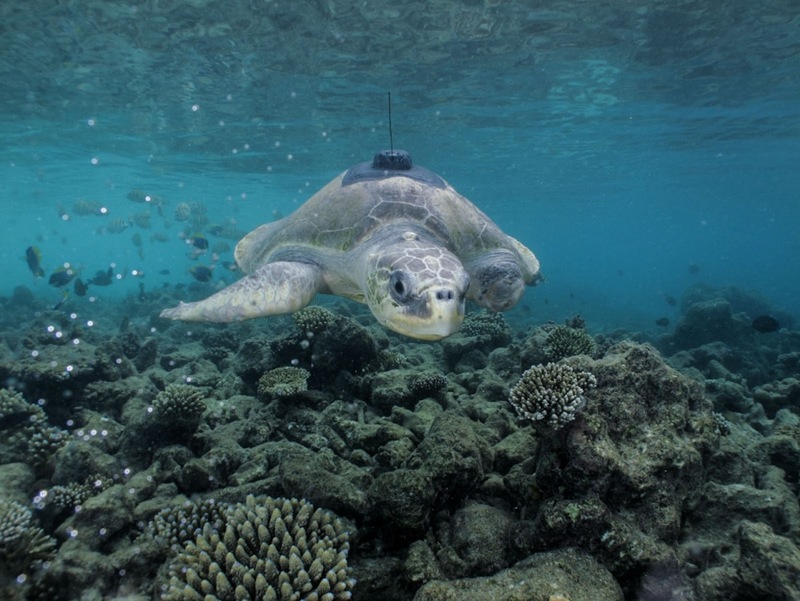 So far the turtle has traveled over 500 km in just 20 days! 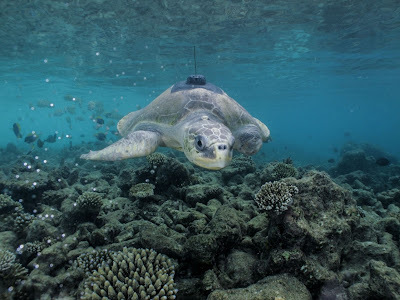 The satellite tracker will transmit valuable data to scientists at Four Seasons Landaa Giraavaru about the behavior of this Olive Ridley turtle. Moreover the device allows everyone to track Chippy’s journey, Click here to see where is she now (orange track)! Thanks to the Four Seasons Resorts and Seamarc Pvt. Ltd for taking great care of the turtles and for providing us with an opportunity to track their journey!